What's Wrong With That Boy? 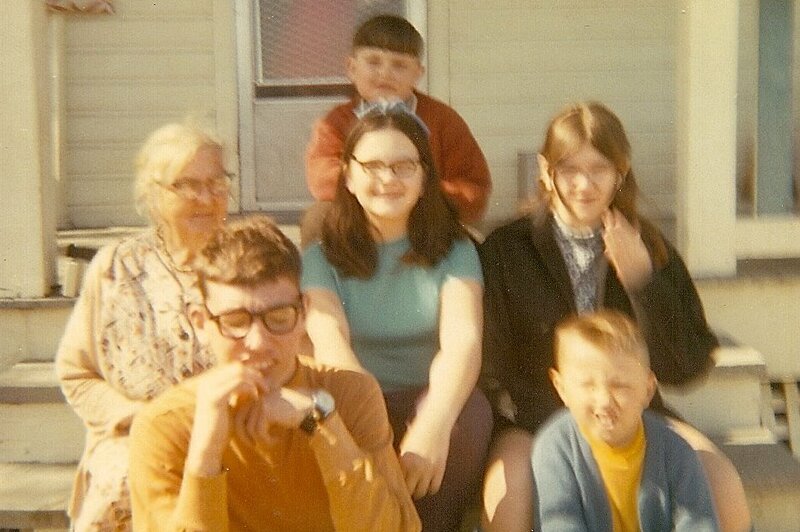 When I was growing up, my mother and her sister Phyllis got together at least weekly with their five kids. Stephen (called Steff), was Phyllis's oldest boy, then came my sister Kathi, me, my brother Dan, and Steff's younger brother Mike. We all enjoyed playing together, especially on the playground down the hill from Phyllis's house. Steff was a kind and gentle soul with a ready laugh and a terrific memory for phone numbers and foibles. He always sided with Aunt Jayne in any argument with his mother, which were many. "What's wrong with that boy?" Steff did not look or act like other children. He had a small skull; he often slavered; his right arm was weak and twisted; his speech and mental abilities were impaired. How did we answer the impertinent question? "He's mentally retarded." Or simply, "retarded." The term was not politically incorrect in the sixties. It was simply his diagnosis. Steff had suffered a brain injury at birth from lack of oxygen. Years later we would learn that he had cerebral palsy. In those days special education for kids like Steff was non-existent. He went to school for a couple of years, but they could not teach him, so sent him home for good. Steff would never learn to read or write, but he often wrote in his own language. Communication was frustrating for him; his speech was on the level of a three-year-old, e.g. "me go car." Steff's problems increased as he grew into adulthood. Like other young men, he yearned for freedom, yet he remained dependent on his mother for everything - choosing his clothes, helping him dress, eat, and bathe. 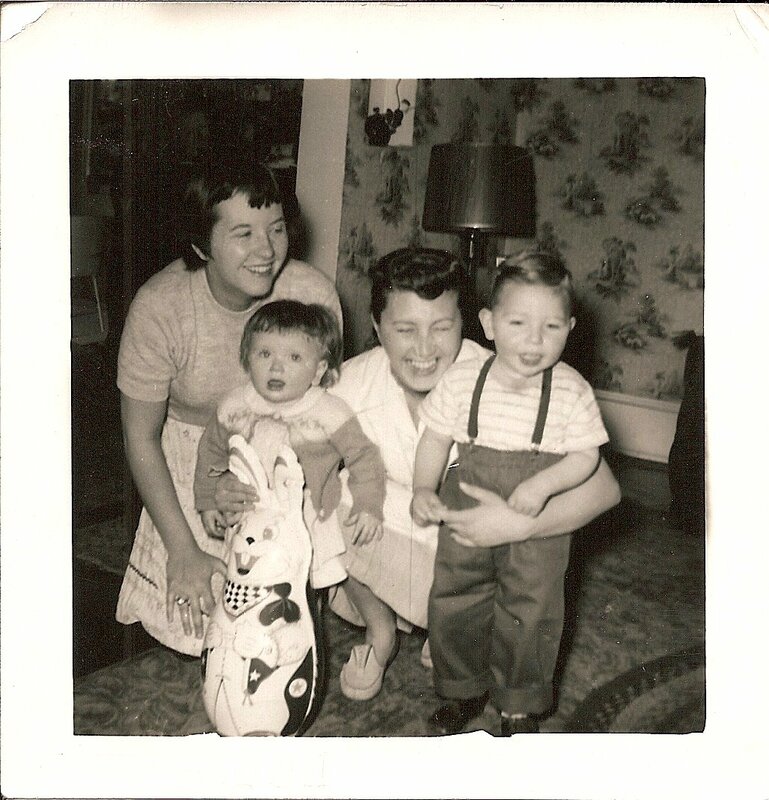 There was never a more devoted mother than my Aunt Phyllis. 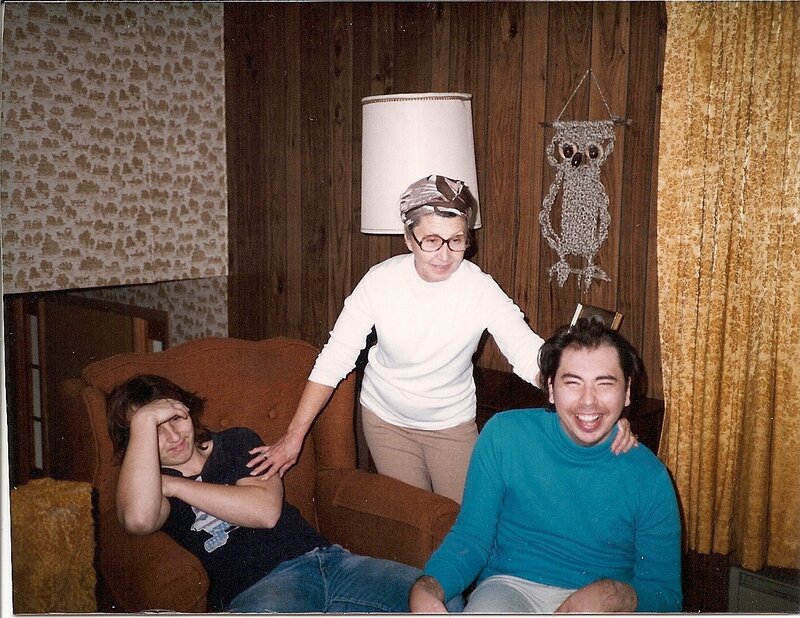 Steff was hard-hit by our grandmother's death in 1979, and when his little brother, Mike, passed away of leukemia in 1985, he was clearly in anguish. Steff's behavior became increasingly erratic. He made phone calls at all hours of the night, mostly to my mother or the local fire company where Mike had been a member. His voice was dark, and he sometimes called himself Jesus. It was unnerving. He had loud outbursts in public, and was increasingly combative with his mother. Phyllis took him to a psychiatrist who diagnosed him with schizophrenia, and over the next several years treated him with Thorazine and hospitalized him twice in a psychiatric ward. The long-term use of Thorazine caused Steff to develop tardive dyskinesia, an illness that mimics Parkinson's Disease. My tiny Aunt Phyllis was exhausted from caring for Steff, but she would never have given up on him or sent him away. That's when the psychiatrist stepped in around 1991. We were all shocked when we got the news! The doctor had sent Steff to Selinsgrove Center. At first we thought it was short-term. Mom and Phyllis fought furiously to get him home. We never understood how the doctor had the authority to commit him, overriding his mother's wishes. Phyllis visited every day - an 80-mile round trip! Mom visited at least weekly, often with me and my toddler Kimber. For the first weeks, Steff would always ask to come home - a heartbreaking plea. We couldn't understand it ourselves let alone explain to him why he had to stay there. Our last photo with Mike, Phyllis, and Steff before Mike passed away. Eventually he stopped asking, but we never gave up until further tragedy struck in January 1997. My mother got the call that Steff was badly injured. A very large, low-functioning resident had slammed Steff, a small man of about 110 lbs, against a concrete wall. The force broke his neck. After CPR and a trip to two hospitals, the doctors found no brain activity. Phyllis and my Mother made the excruciating decision to terminate life support. Funerals can be very revealing. Several of Steff's caregivers from Selinsgrove Center were in attendance at the service and came back to my parents' home to visit afterward. The aides gave us a peek into Steff's world that we had no idea about. Just when it seemed that a life could not have ended more tragically, we learned that he was quite happy and content there, only becoming agitated when his mother visited. With all her good intentions, she had a way of riling him up. Steff was well-loved at the Center, and he enjoyed his life there according to the staff. Surprisingly he had found a measure of independence in his final years - in an institution.